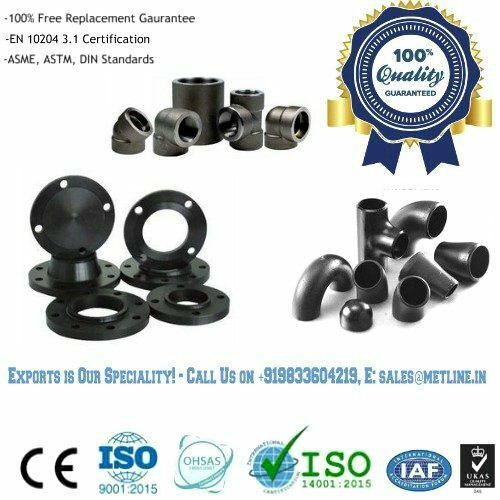 Metline is a full line manufacturer of Inconel 718 nuts and Inconel 718 bolts in accordance with DIN, ASME, ASTM and ISO standards. Inconel nuts and bolts can be used in service temperatures ranging from cryogenic to 2200°F (982°C). The most commonly used Inconel Alloys for manufacturing nuts and bolts are Inconel 600, Inconel 625 and Inconel Alloy 718. Metline is a specialist manufacturer and supplier of Inconel 718 bolts, and Inconel 718 stud bolts with nuts. 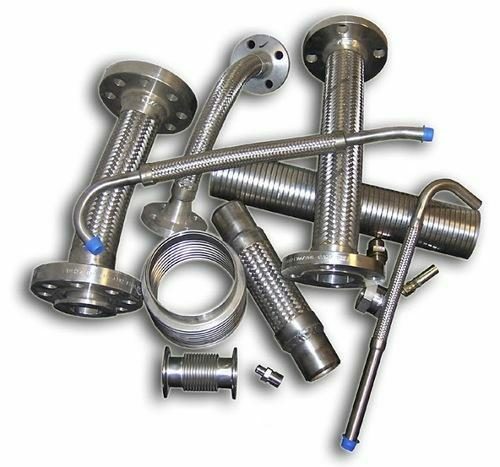 We offer hot forged Inconel 718 bolts and nuts up to 2″ Dia, and custom length. 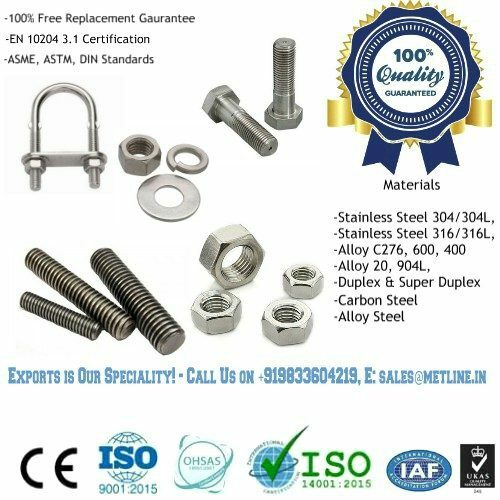 Our CNC machined Inconel 718 bolts and Inconel 718 stud bolts can be offer in sizes upto M100 / 4” Dia in custom lengths. 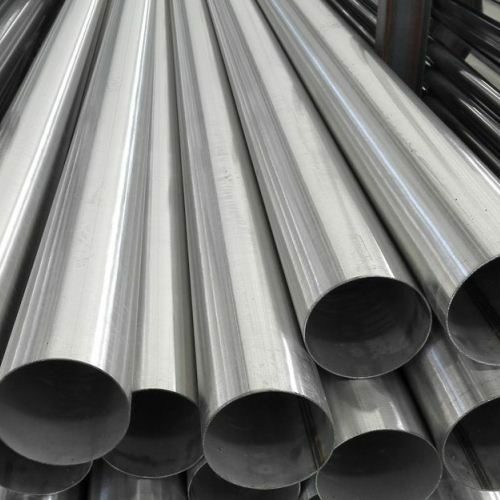 Inconel 718 is a precipitation-hardenable nickel-chromium alloy, with higher levels of iron, molybdenum, and niobium as well as smaller contents of titanium and aluminium. Used in steam turbines, acid environments, and nuclear engineering, Alloy 600 exhibits high yield strength, and creep-rupture properties at high temperatures. Alloy 600 or Inconel 600, is one of the most popular high temperature alloy and is commonly identified as UNS N06600. 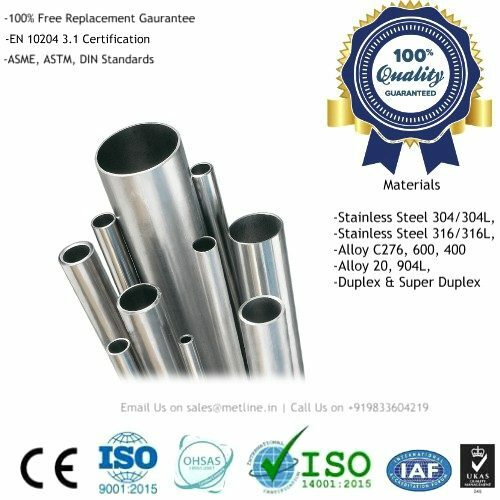 Inconel 600 is a non-magnetic nickel-chromium alloy, with features of excellent corrosion resistance and mechanical properties, in addition to good weldability under a wide range of temperatures. Inconel 601 is a nickel-chromium alloy, with an addition of aluminum, which exhibits excellent resistance to high temperature oxidation. The addition of aluminium allows it to demonstrate high mechanical properties even in extremely hot environments. Inconel 625 is a nickel-chromium-molybdenum alloy, with addition of niobium that acts with the molybdenum to strengthen the alloy’s matrix, resulting in outstanding strength and toughness. Inconel 625 offers high resistance to pitting and crevice corrosion, making it a ideal alloy in chemical processing, marine engineering, oil and gas, and offshore industries. Elongation % 30min. 30 min. 30 min. 30 min. Yield strength – Mpa 240min. 300min. 345min. 550 min.